The name of this organization is Mid-Atlantic Vietnamese Golf Association (MAVGA). 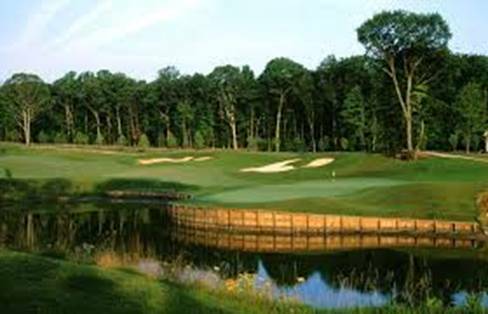 The purpose of the organization is to promote golf to the Vietnamese communities in the Mid-Atlantic States especially those living in the VA, MD & DC areas. Section 1. Membership shall be available to all people (man, woman & juniors). Section 2. Memberships are individual and non-transferable in the club. The MAVGA membership fee is $50 per a regular golf season. Section 3. The club membership is valid starting on Jan 1st and ending on December 31 of the each year. Section 4. In the event any member of this organization shall commit any act which reflects discredit or disrepute thereon or shall refuse or neglect to comply with the rules and regulations adopted by the Board of Directors, such member shall be subject to suspension or expulsion after ten days written notice and the right to be heard, by a vote of two-thirds of the Board of Directors at any regular meeting or special meeting called for such purpose. Section 5. New members must participate in at least either 2 main MAVGA tournaments or 2 weekly or monthly outings held by the club in order to establish the handicap index with the club before they can participate in the tournament NET score competition. However, a new member can still participate in the tournament for the GROSS score competition. Non-members can ONLY join at any of the MAVGA tournaments to compete for closet to the pin and longest drive prizes. Section 1. The MAVGA Board of Directors shall consist of the Three members: Mr. Sonny Phan, Mr. Terrence Nguyen, and Mr. Bach Nguyen. They shall exercise all powers of the management of the club not specifically excepted by these by-laws. In the case of any vacancy through death, resignation, disqualification or other cause, the remaining member of directors may elect a successor by majority vote to hold office as director. Voting shall be by written ballot or by verbal. Those names receiving the major votes cast by the Board of Directors shall be elected. The election will be done by e-mail and published to all members of the board. The board will convene during the annual meeting of the association. Section 2. The annual meeting of the Board shall be held on the first Sunday in the month of January. The Board of Directors shall provide for the holding of such other meetings as may be deemed necessary, and they shall call a special meeting upon written petition signed by not less than three members of the Board of Directors. Section 3. The Board of Directors shall establish all membership fees and dues from time to time in such amounts as they deem to be adequate to operate and maintain MAVGA club. Members shall be liable for dues until their written resignation has been received and accepted. Section 1.The committee will run MAVGA for a period of 2 years associated with the MAVGA board of directors. Maximum of two terms. The board of directors will conduct the selection process of searching for a new member for the president position every two years. The process will be taken place in the 1st week of November in the second year of the 2-year term. The MAVGA members who have or had served in the MAVGA committee at least one year qualify to run for the President position. In the event there is more than one candidate running for the president seat, the board will conduct the voting process and MAVGA members to vote for the candidate. If there is a tie vote (1 vote different), the board will decide the most qualified candidate for the president position. If there is only one candidate, the voting process by members is not required. The MAVGA board of directors will announce to members the new MAVGA president. The committee shall consist of President, Handicap Committee Chairman, Sponsorship & Business Relation Director, Tournament Director, Treasurer, Rules & Regulation Committee. Their duties shall be such as their title would indicate or such as may be assigned to them respectively from time to time. They will delegate their duties among themselves and call for meetings when deemed necessary.